Douro, one of the most breathtaking vineyard landscapes of the world and probably the most famous wine region of Portugal, initially due to the export of Port wine, now being increasingly recognized for producing high quality, long lasting dry wines that are fuller bodied, highly concentrated but round and elegant at the same time. region winegrowing hills from cool and moist weather. In summer, days are hot and dry, and in winter days can be quite cold. 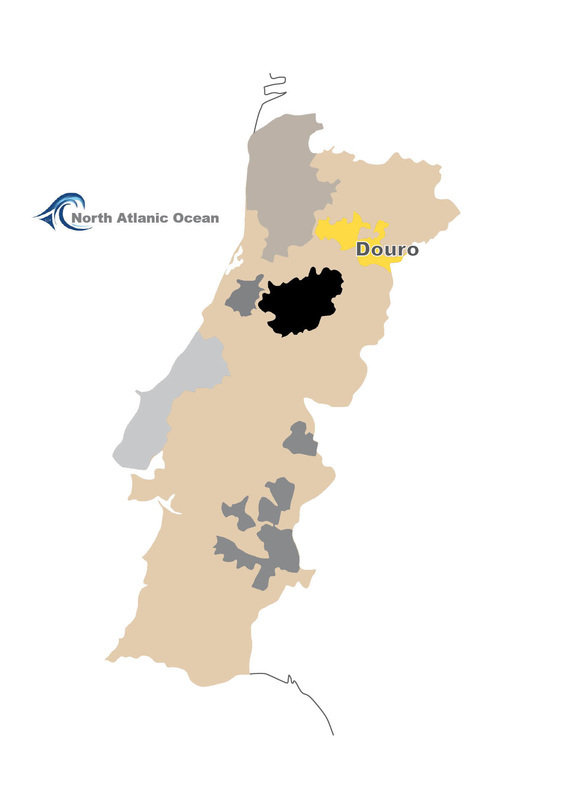 The soil of the north of Portugal consists almost exclusively of granite. On top of the granite is a thick layer of schist, which is great in reflecting heat to the vines, allowing moisture to seep in, and also giving the roots a place to grow. The star red grapes in Douro are Touriga Nacional and, especially for Port wines, Tinta Roriz and Touriga Franca. It is interesting that in the old times, the different varieties of the grapes were not recognized and the planting not distinguished, and winemakers tended to mix up whatever grapes were obtained in the vineyards to make up the volume. This however accidentally resulted in the best blending tradition. Many top vineyards are now replanted with single varietals and focus on a limited number of varieties, although older, mixed-varietal vineyards will continue to remain in production for many decades to come.